Ovo je Cathy iz GearVita, mi smo prodavač autentične elektronike potrošačke marke. Ovdje smo novi i nadamo se da možete više komunicirati s nama, bez obzira što je. Mi smo web mjesto za online kupnju, s ciljem pružanja najbolje usluge po najnižoj cijeni. Naši proizvodi su uglavnom audio, Xiaomi elektronika, pametni nosivi, pametni telefoni, RC drones, pametni proizvodi za dom, roba na otvorenom i još mnogo toga, svi su po vrlo povoljnoj cijeni, dobrodošli odabrati i kupiti. Ako želite saznati više o GearVita, molimo kliknite ovdje. Iako smo još uvijek samo nova web stranica, proizvodi ne svibanj ne biti onoliko koliko mislite, ali nastojali smo razviti najnoviju potrošačku elektroniku i poboljšati našu web stranicu. Ako imate bilo kakvih komentara ili prijedloga na našoj web stranici, proizvodima ili uslugama, slobodno dođite ovamo i razgovarajte s nama. Štoviše i još važnije, ovdje ćemo pružiti različite promocije i obavijesti o dolasku, nadajući se da vam se sviđa i često dolaze ovamo vidjeti. Bilo koje pitanje dobrodošao da komuniciram sa mnom. Zadnje izmijenjeno od: krešo. 13.09.2018. u 10:16. 1MORE iBFree earphone uniquely brings wireless freedom and pristine sound together, is designed to make your workout and sport better without wires but your favorite songs. Their lightweight stylish design, meticulous wireless transmission, and titanium drivers deliver superior sound while you stay active. Vibrant stereo sound pushes your limits and energizes you to work harder. Oblique angled ear fittings naturally match your ear canals, additional pairs of ear tips and sport grips ensure perfect seal and snug fit. You move, but your earphones don’t. Allow for meticulous wireless sound quality without signal loss, resulting in a seamless Bluetooth listening experience. A titanium driver provides sizzling highs, present mids, and powerful bass. Attractive textured aluminum body ensures durability. Water resistant earpieces and controls protect from rain, splashing, and sweat. These are the perfect in-ear headphones for excercising and outdoor use. 1MORE iBFree uses the lithium polymer battery with high efficiency, after a fast full charge of 2 hours only, it can handle 8 hours of music playing, 10 hours of talking and 240 hours of standby time, which is 1.5 times of common Bluetooth earphone’s. With a long signal range of 30 feet, you can listen while running, jumping, kicking and more without wires to hold you back. Your favorite songs are streamed clearly with Bluetooth 4.1 and CSR chip. Zadnje izmijenjeno od: gearvita. 20.09.2018. u 05:19. The Lenovo Watch X Plus introduces a special “Swiss core mechanism” produced by Ronda which uses the core gear box to create a smart movement and make the watch thinner. At the same time, the Lenovo Watch X Plus will also come with an high-quality Milanese strap, reappearing Milan in the late 19th century, the woven silky stainless steel mesh can be gently wrapped around the wrist for a final premium look. Like the Lenovo Watch X, the Lenovo Watch X Plus is a water-resistant smartwatch with an OLED display and 316L stainless steel casing, the screen is covered by sapphire crystal glass and luminous needles. Features wise, the Lenovo Watch X Plus supports functions such as step counting, sleep, heart rate monitoring, finding your mobile phone, alarm reminders, sedentary reminders, it is 80m waterproof . Built-in geomagnetic sensor and air pressure temperature sensor, it can be more useful when climbing, running swimming or doing other activities, it’ll then show the altitude, temperature and other real-time monitoring data. With a 600mAh battery, you can use this watch for up to 45 consecutive days with just one charge. ● Heart rate monitor: HRM heart rate monitor function will give you the real-time feedback, let you know about your heart rate anytime and anywhere. ● Sleep monitor: it monitors your sleep quality through measurement of duration for deep sleep, non-REM sleep and waking condition. ● Alarm remind: setting the alarm clock on the smartphone, the watch will remind you with vibration. ● Remote camera: control your smartphone to take phones on your wrist. ● Anti-lost: when it's synchronized with your phone, the watch gives an alarm by vibration or ring when the phone is more than 10m away from the smart watch. ● Barometer and thermometer: real-time temperature monitoring, ambient temperature measurement. 8ATM waterproof sealing process, 80 meters waterproof, ensure normal use of under 80 meters water pressure, you don't need take off the Lenovo Watch X Plus smartwatch when washing hands or swimming. Woven, smooth and stainless steel mesh milanese strap, anti-sweat breathable, skin-friendly and comfortable. Gently wraps around the wrist with magnetism, free to adjust, make sure it fits snugly your wrist. Adopts sapphire glass mirror material, up to 9H hardness, rank only second to diamond. High light transmittance, time is clearly visible, so beautiful and attractive. Retro pointer design, classic and delicate, advanced copper pointer, batch process polishing. Luminous display, catch an accurate time even in the dark. Bluetooth 5.0 ensures approx 15-25m range, support OTA for Android 4.3 or above and IOS 8.0 or above. Lenovo Watch X Plus will vibrate when Calls or other app notification comes, short press or shake your waist will hang off, lead a smart life from now on. 24 hours all-weather to monitor your heartbeat changes and show a clear picture of the data on App. Monitor the your deep or light sleep state, help improve sleep quality, keep beautiful skin. When sedentary time reaches the setting time, this band will remind you to get. 45 days long standby time, save your charging times and avoid the trouble of frequent charging. The band-new Lenovo watch intimately joined the gesture camera function, entered the watch APP camera interface, short press or shake the watch to quickly take picture, tailored for you to love self-timer, enjoy the trend of a new life. 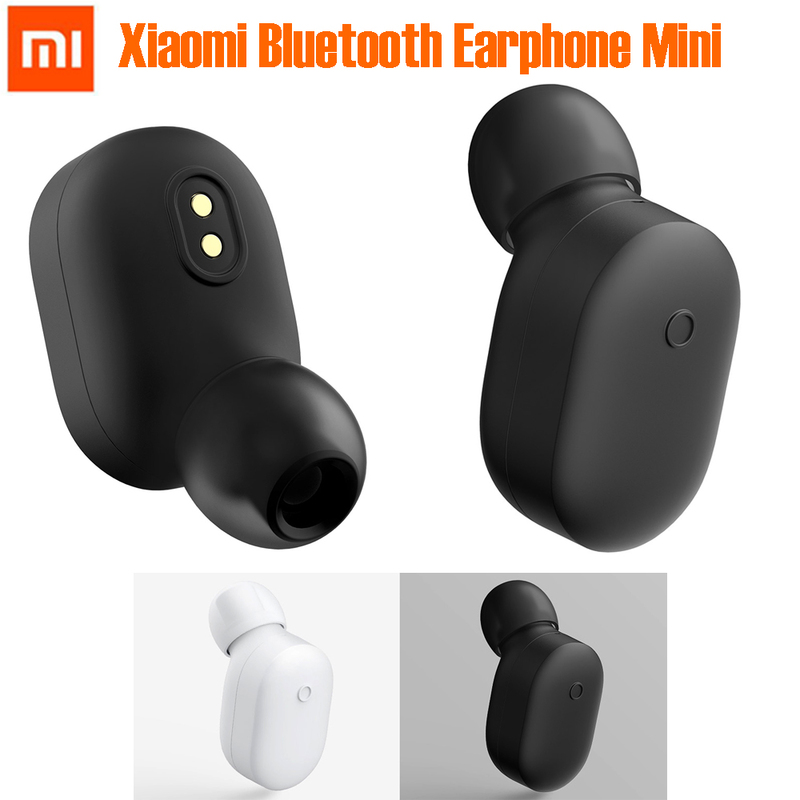 If you are looking for wireless headphones with good sound quality and functionality, this Xiaomi LYEJ05LM earphone is undoubtedly your product. It adopts advanced Bluetooth 4.1 technology and CSR8610 chip for improved stability, compatible with 4G network. You can control multiple functions with one button, intelligent voice prompt can keep you informed of the earphone status anytime. 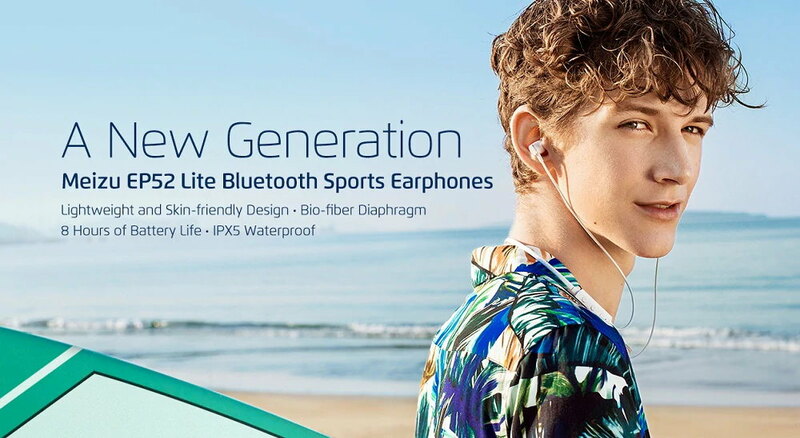 With IPX4 waterproof, you can enjoy sports and music as much as you can. Weighing only 4.5g, compact and mini in size, you’ll feel no burden when wearing it. Make it possible to operate multiple functions with only one button, easy and convenient to handle, you have this mini headset at your control completely. The MEMS silicone microphone features strong stability and great noise reduction, which ensures you clear conversation during handsfree call. 7.2mm strong magnet mobile coil unit makes voice and drumbeat more powerful, loud-music lovers will be surprised at this function. Designed with magnetic charging pogo pin, avoid damage to earphone caused by repeated plug and unplug, safe and convenient. Let you know the status of your earbud anytime, including power on, power off, pairing, low battery power, etc. Xiaomi LYEJ05LM supports Xiaomi smartphone voice assistant Xiao Ai, allows you to control your mobile phone through voice. Ergonomic design inside the ear, perfectly fits ear contour, keep the earphone in place and not easy to drop. Waterproof in accordance with IPX4, no fear of sweat and splash, enjoy sports as much as you can. Adopts CSR8610 Bluetooth chip and advanced 4.1 version Bluetooth solution, compatible with 4G network, improved compatibility, stability and functionality. The Xiaomi Redmi Note 6 Pro features a 6.26" display with a screen resolution of 1080 x 2280 pixels and runs on Android v8.1 operating system. The device is powered by octa core processor paired with 4GB of RAM. For optics, there is a 12.0MP rear camera with 1.4μm pixel size, dual PD focus, dual-tone LED flash and a secondary 5.0MP camera. At the front is a 20.0MP camera with Sony IMX376 sensor and a secondary 2.0MP camera. Other features include a rear-mounted fingerprint sensor as well as face unlock for biometrics and dual 4G VoLTE. The whole package will be backed by a 4000mAh battery. For graphical performance that can make games run smoothly, this phone has got a Adreno 512 GPU. Onboard storage is of 64GB with the option to expand the memory by up to 256GB. ● 6.26" full HD display with resolution of 2280 x 1080 pixels, 19 : 9 aspect ratio and 2.5D curved glass. ● SoC Snapdragon 636 octa-core, with Adreno 509 GPU. 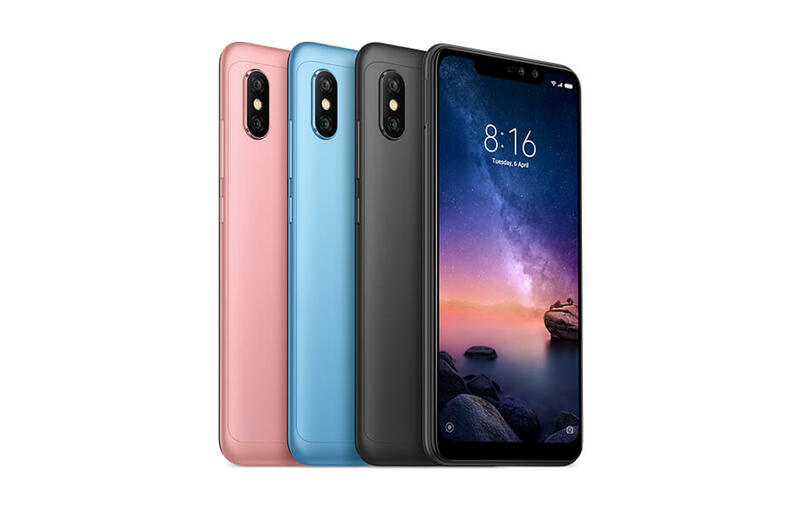 ● Redmi Note 6 Pro configurates with 4GB of RAM and 64GB of storage, expandable via microSD up to 128GB. ● Android 8.1 Oreo operating system with MIUI 10 user interface. ● Hybrid dual SIM (nano + nano / microSD). ● 12.0MP rear camera with dual-tone flash, sensor with 1.4 μm pixel size, dual PD focusing, 5.0MP secondary camera. ● 20.0MP front camera with Sony IMX376 sensor, 2.0MP secondary camera. ● Equipped with fingerprint sensor, infrared sensor, face unlock for biometrics and dual 4G VoLTE. ● Support connectivity of dual 4G VoLTE, Wi-Fi 802.11 a/b/g/n (2.4GHz + 5GHz), Bluetooth 5, GPS + GLONASS. ● 4000mAh big capacity battery. Zadnje izmijenjeno od: gearvita. 20.09.2018. u 04:18. - mogu li postovi biti na HR jeziku? - kakvo je stanje sa jamstvom - koliko i kome se reklamira? UMIDIGI One Pro smartphone features 5.9 inch HD+ in-cell IPS LCD capacitive touchscreen consumes low power and boasts 1520 x 720 pixels and 287 pixel per inch density for sharp visuals. It has reading mode, color temperature adjustments, 19:9 aspect ratio and stretches up to 90% screen-to-body ratio. This time, UMIDIGI chose to put the fingerprint sensor on the side of the phone instead of the back and that allows for a clean and minimal design. Under the hood lies the Helio P23 SoC coupled with 4GB of RAM and 64GB of internal storage. On the camera department, the device is loaded with dual 12MP + 5MP rear cameras and a 12MP fromt camera for selfie. Powering the UMIDIGI One Pro is a 3250mAh non-removable Li-Po battery with fast charging technology. Also, the One Pro comes with NFC and wireless charging function and supports global networks with 7 network modes and 36 global bands for worry-free use around the globe. Add to that the dual 4G VoLTE support as well as 'Twilight' and 'Carbon Fiber' color variants at GearVita.com, you have a perfectly capable device. Powered by an octa-core 64-bit Helio P23 processor, the UMIDIGI One Pro is able to handle your daily tasks with smooth access to any of your apps, offering excellent multitask capability. The ARM Mali G71 MP2 GPU clocked at 700MHz increases gaming and video performance while reducing the power consumption by more than 25% compared to its predecessor. UMIDIGI One Pro’s 16MP front facing camera lets you take sharp and high quality photos or videos even in low light conditions. Thanks to the high resolution sensor S5K3P3 with a F2.0 aperture, not only your face but everything around and behind you will be captured with high details. With UMIDIGI One series 6P lens PDAF Dual Camera you can easily catch every moment of your life. UMIDIGI One Pro uses 12MP+5MP dual camera, a large F/2.0 aperture OV12870 sensor, which enhances picture quality in any condition, day or night. No more cable clutter at your charging station, no more need to plug in when it’s time to power on and no more need to remove the protective case while charging, just lay your phone onto the charging pad. Enjoy unplugged comfort with 15W world’s fastest wireless charge. UMIDIGI One Pro's PE+ technology maximizes the charging efficiency by allowing to reach a 9V/2A input. Using that state-of-the-art technology UMIDIGI One pro can be fully charged within 90 minutes through its USB Type-C connector. Face unlock makes unlocking your UMIDIGI One Pro simple and secure. Overall your unique face is the perfect password — just a glance, and your identity can be recognised. The UMIDIGI One Pro is designed with a side fingerprint sensor on top of its power button. This new position allows you to unlock your device while keeping it in your palm in your natural holding position. For an enhanced calling experience the UMIDIGI One Pro features dual smart power amplifier creating a surround sound field. From now you can hear your interlocutor more clearly. UMIDIGI One Pro supports 7 network modes and 36 global bands. Regardless of your place of residence or your destination for a journey, you can connect to the local mobile networks with your UMIDIGI One Pro anywhere in the world. It also supports 4G VoLTE in both slots simultaneously - enjoy faster data transmission, lower power consumption and more reliable connection from now. UMIDIGI One Pro supports Functional NFC where Android Pay and on-vehicle payment can be used. 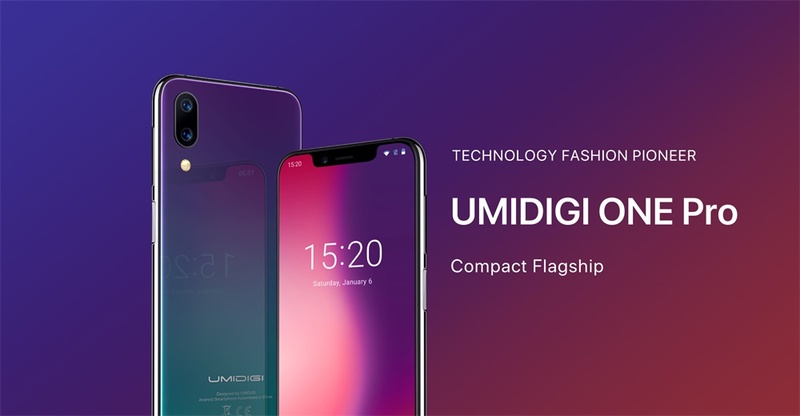 While glass body back meets the carbon fiber texture and gradient twilight color, the UMIDIGI One series becomes a fashion leader, it looks premium and stunning in any situation. With an easy-to-use interface, amazing features and security in its core, the pure Android 8.1 is the most recent Android operating system. It’s designed to look beautiful and work seamlessly, so even the simplest tasks are more fun, and you always can keep your smartphone. 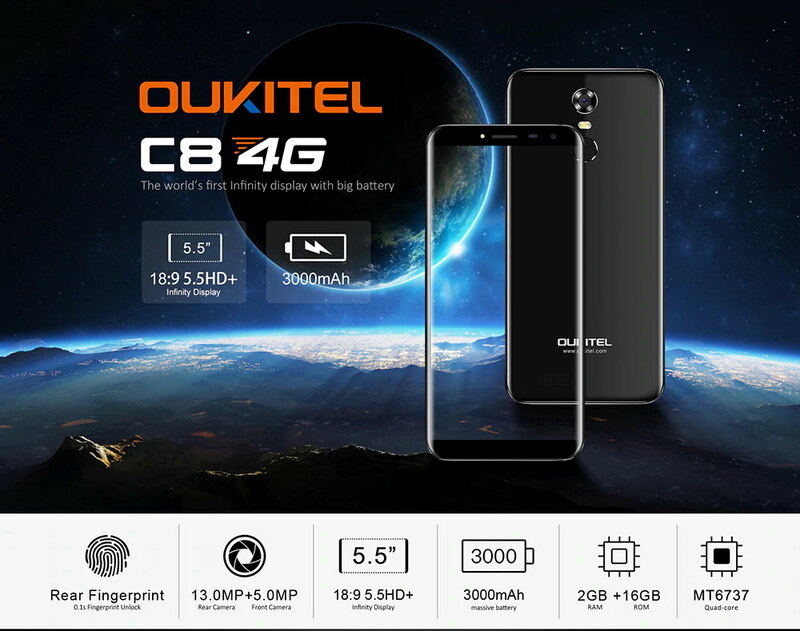 Oukitel C8 smartphone adopts 5.5 inch HD screen with a aspect ratio of 18:9 and resolution of 1280 × 640 pixels covered by a tough 2.5D curved glass, delivers wider view than traditional phone with the same size, playing game and watching movie without limits. The smooth back cover with curved frames give a slimmer look and is more comfortable to hold in one hand. Internally, it runs on Android 7.0 system, powered by a MediaTek quad core processor clocking at 1.3GHz, coupled with 2GB RAM which is sufficient enough to offer seamless performances when multitasking and in light gaming. The internal storage space provided by this phone is 16GB, which can be expanded via microSD card up to 64GB if you wish to accommodate all more media files in your phone. Oukitel C8 comes with a pretty decent camera profile - the rear camera is 13.0MP and has an LED flash, features include autofocus and geo-tagging also video recording. The front camera is 5.0MP, also features an LED flash that is very useful when taking selfies in low light places. The C8 is packed with a 3000mAh battery which is expected to continue on a fully charged day and has a fast charging capability. It is also equipped with a back-mounted fingerprint scanner that allows you to do more with just one touch. For example, it can be easily unlocked with a slight touch on the fingerprint sensor board on the smartphone just about 0.1 second. Smooth back cover with curved frame, delicate workmanship, elegant and stylish colors, intellective beauty on your hand. 5.5 inch screen brings you a perfect vision, 18:9 display delivers wider view than traditional phone with the same size, providing a perfect visual effect, playing game and watching movie without limits. C8 4G adopts excellent glass handled by LTPS tech to make it strong and transparent, view good photo and video effect on the HD display. 2.5D curved glass, smooth back cover with curved frame, brings you a perfect handling. Latest generation Media Tak processor for faster response times, smoother graphics and easy downloads. Run multi-tasks, store movies, reserve storage for pictures, C8 satisfies basic needs and meets your new performance standard. 13MP + 5MP has enhanced cameras and 2 flashlights, it brings you better and clearer selfies, catch every beautiful moment of your life. 3000mAh long lasting battery life provide you enough power, easily supports a whole day use and all your battery needs in daily life, charging fast and bring you more power. Just need 0.1 second, you can get into your phone safely and quickly, protect your personal phone world. Zadnje izmijenjeno od: gearvita. 21.09.2018. u 09:44. Enjoy true wireless music streaming and hands-free call with the mini QCY Q29 Pro earbuds. The portable charging box ensures charging the earbuds is effortless, the box will automatically charge the earbuds the moment you place them in the box. The The box can also be used as a storage box, ensuring you never lose your earbuds. The 4.2 Bluetooth technology allows you to connect to a device up to 10 meters away while ensures you can listen to clear and crisp sounding music. Easy to charge, it can automatically charge for the Headphones the moment you place them on the charging base, also can be used as a storage box for holding the two headphones. 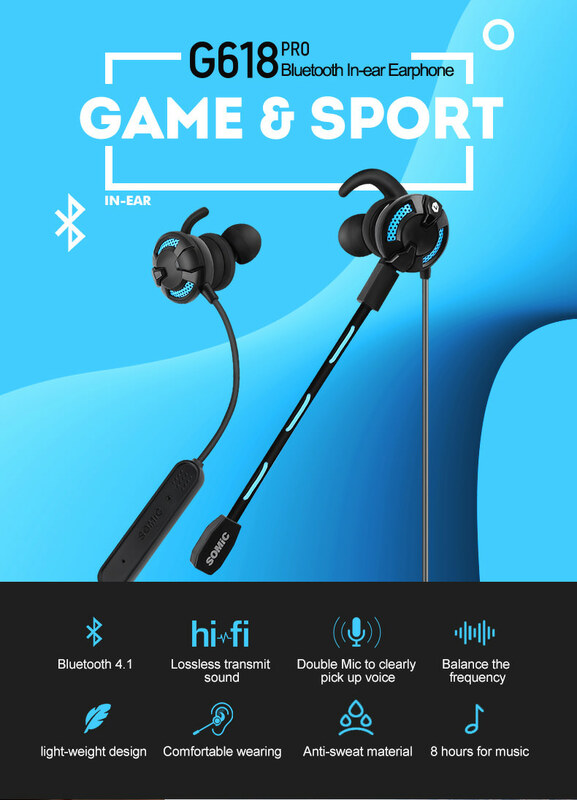 Bluetooth 4.2 technology makes sure long and stable transmission distance up to 10m, ensures a stable connection between two earbuds and your devices, and allows to automatically connecting after paired successfully for the first time. QCY Q29 Pro can connect two Bluetooth-enabled devices at the same time and it supports all Bluetooth-enabled devices, like smartphone, tablet PC and others. The battery's standby time enlarges to 45 hours and the charging box can charge for a single headset for 6 times. With a weight of 5.6g per earbud, it's designed to fit perfectly for your ears with replacement ear tips in ergonomic design. Reference of more than 2000 human ears data that designed prefectly for the human ear and the ear angle to fit the earphones better. 3 sets of different sizes of the ear caps to suits your ears better and more comfortable for better wearing experience. 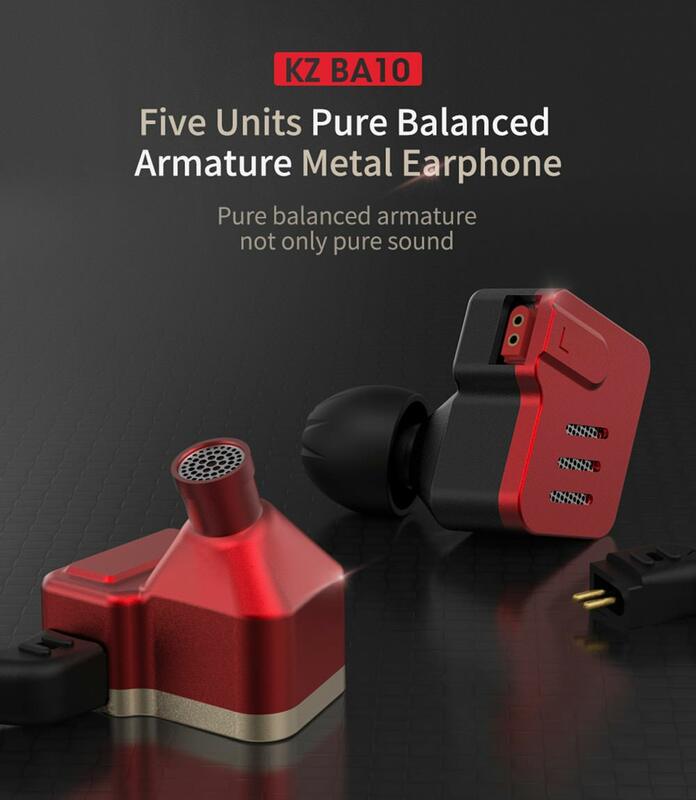 KZ BA10 earbuds is equipped with unique aluminum alloy housing and ear-back style design. With 5 balanced drives per side and independent sound channel for each driver, the sound quality has been greatly improved, more details can be heard. The high density aluminum alloy case not only displays stylish look but also greatly enhances sound cohesion and effectively avoid physical resonance effect making the sound more solid and mellow. The KZ BA10 has a big dynamic driver handling bass and one for mid, two drivers handing high frequency, one driver handling mid and high frequency together. The bass adopts 22955 customized drivers which has low distortion and extended bandwidth. With the detachable 2 pin braided cable, and ergonomic design memorable ear hook, it will bring you stable and confortable wearing experience. ● 5 units of balanced armature earphones, you can hear more music details. ● Solid ergonomic wear experience, durable, providing a locked-in fit. ● Aluminum alloy shell, the ear-back style unique design. ● Independent sound channel for each driver, the sound will not be distorted, bring you a new kind of auditory sense. ● The midbass and treble driver unit have a rich, vigorous performance at bass, midrange and treble, bass, mids and treble are rich and energetic. ● With friendly design and free removable cable design, high performance for audio earphones. ● Use 3.5mm plug and 0.75mm gold plated 2 pin, with the stylish design and high-end sound quality, designed for iPhone and other smartphones. KZ ZSR earbuds dynamic driver with powerful, helps it express itself in rock and acoustic songs. Balanced armature driver unit for HD music resolution, instrument and voice restored in ear. Its 3.5mm connector makes it this KZ earphones fits for most devices with 3.5mm jack. ● Hybrid earphones balanced armature with dynamic in-ear HiFi earphones. ● Independent sound channel for each driver, the sound will not be distorted, bring you a new kind of auditory sense, dental, and sound like feeling extremely rich. ● Solid ergonomic wear experience, durable, designed with a memory wire technology, the in-ear headphones make it easier to keep moving, providing a locked-in fit. 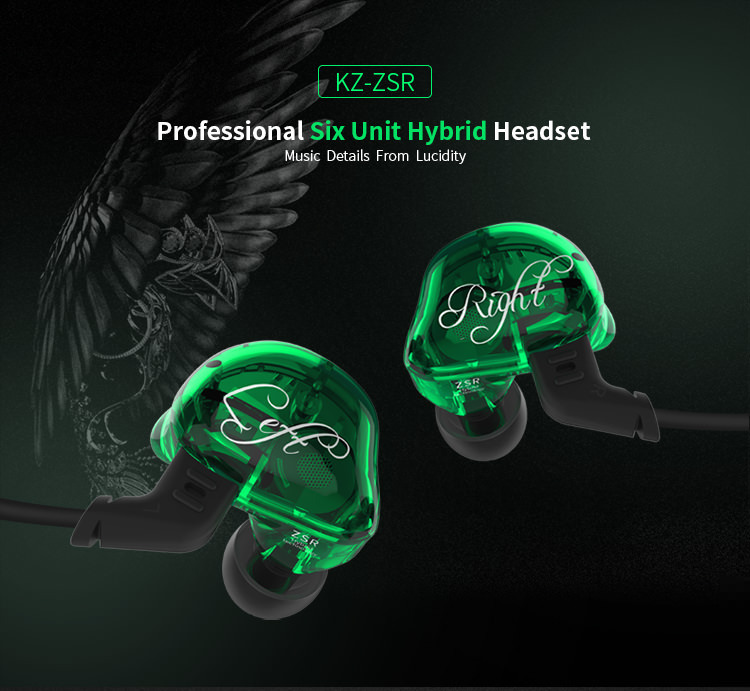 ● KZ ZSR uses the patent technology silicon tips, can comfortably fit human ear, the sound can directly transmit of the eardrum, and get better quality experience, improve noise-cancelling performance. ● Friendly design and free removable cable design, high performance for audio earphones, perfect for home, parties, school and office. ● The cable use 3.5mm plug, with the stylish design and high-end sound quality. ● Designed for the latest generations of iPod, iPhone, and iPad, can work with all Android, tablets, MP3 players, and related devices with a standard 3.5mm jack. Bigger is better! The Huawei Honor Note 10 with 6.95 inch is already a huge smartphone, but the all new Huawei Honor 8X Max tops it all with a humongous 7.12 inch huge full HD+ display and over 90% screen-to-body ratio. Underneath the FHD+ display with 2244 × 1080 pixel resolution a 64bit Snapdragon octa-core chipset with 1.8GHz powers the large smartphone. The large dual SIM phone runs EMUI 8.2 based on Android 8.1 Oreo and is available in two variants with 4GB RAM + 64GB ROM and 4GB RAM + 128GB ROM. In both cases, the internal storage can be expanded by up to 256GB with a microSD memory card. On the rear of the mobile phone is a dual camera with 16.0MP and 2.0MP sensor. The 8.0MP front camera can be used for video calls, selfies or to unlock the mobile device. The built-in battery is charged with 18W quick charging technology, which will allow you up to 40 minutes of calls with a quick 10-minute charge. In terms of connectivity dual 4G LTE, Bluetooth V4.2 and dual band Wi-Fi are on board the Huawei Honor 8X Max smartphone. For postioning GPS, Beidou and Glonass can be used. out of the box. Blend the delicate and round shape of the pearl in the 7.12 inch big screen to make the mobile phone proportion higher than 90%, ultra wide field of vision to be convenient to read or play games. Adopt the high standard photobiology security to make screens effectively filter out harmful blue light that causes eye fatigue, combine adaptive color temperature and brightness adjustment to reduce eye injuries from prolonged use of mobile phones, enter the mobile eye protection 2.0 era. Small body with large view, one-handed operation is more convenient. New British double texture design, double light and shadow slides through the 3D curved case to show transparent texture. Equipped with a complete high-specification dual loudspeakers, dual amplifier structure, more balanced sound field, the volume is as high as 80dB/30cm, brings the sense of shock sound. Adopt Dolby Atmos technology, 360 degree all-dimensional vibrant sound effects takes you from mundane moments into a transcendent experience to immerse yourself in the world of music. 5000mAh big capacity and intelligent power saving, standby time is increase by more than 5%. Can watch video for 20 hours, play games for 12 hours, listen to music for 72 hours and sing for 15 hours. Use Snapdragon 636 octa core processor, play games smoothly, suppprt game mode, game acceleration. Support AI photography, can support 22 kinds of photography type and automatic identification of up to 500 scenarios, optimize rendering process more specifically, the photos are more natural and colorful. Video diaplay enhancement technology, more vibrant colors and clearer details while watching. Support 9V/2A fast charging and fast OTG reverse charging, an OTG wire is connected to charge the device in reverse. Use large ICONS, large fonts, and large layout, desktop APP icon lock avoids operating wrongly, turn off complex functions to make you operate easily, automatically opens prompt tone with maximum volume to avoid missing important information. Previously used traditional dynamic headphones can not hear the details of the sound, at the moment will be complete! 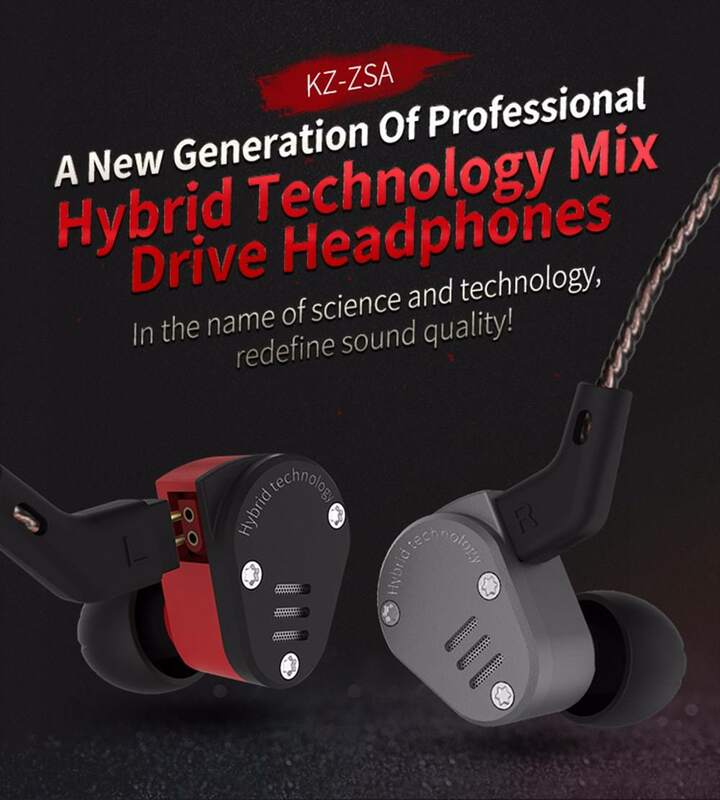 KZ ZSA earbuds adopt hybrid drivers, which have the advantage of roller compaction compared with traditional dynamic headphones, either single-dynamic or double-dynamic. Resolution is more abundant, the intermediate frequency is clearer, and the high frequency is brighter. The upgraded balanced armature and the self-developed and manufactured 8mm dynamic driver with excellent low-frequency output characteristics. New capacitive frequency division technology makes the connection between dynamic unit and balanced armature unit smoother, complementary advantages, regenerative fever sound quality. Hybrid drivers have the advantage of roller compaction compared with traditional dynamic headphones, either single-dynamic or double-dynamic. The KZ ZSA is equipped with a upgraded balanced armature and a dynamic armature, making the instant details and the sound density of music much better than traditional sound units, the efficiency of electroacoustic conversion has also been increased. with excellent low-frequency output characteristics, bass is full and powerful, deep dive, fast transient response, mid-range is wide and thick. Make the connection between dynamic unit and balanced armature unit smoother,Complementary advantages, regenerative fever sound quality. It adopts innovative use of full CNC technology and finely crafted aluminum alloy metal earphone shell whose manufacturing cost is dozens of times higher than that of a conventional plastic case. Professional grade wire scheme, not only provides excellent sound quality signal transmission, but also has many features such as resistance to pulling,resistance to bending, and resistance to corrosion. The Meizu EP52 Lite earbuds comes with a neck-hanging design, which also is magnetic and has three-button remote control. The EP52 Lite is lightweight with a 2.3g single-sided headphone weight. However, it's an audio accessory, so we are more concerned about its audio performance. There is a specially designed 10mm bio-diaphragm (dynamic coil), wrapped in the earphone cavity. At the same time, the sound cavity structure is specially optimized as well. The impedance is 32 ohms and the frequency response range is 20Hz~20KHz, the call function features an omnidirectional MEMS microphone and it also uses a software algorithm for noise reduction. The flexible and skin-friendly neckband and lightweight magnetic design work to bring out the best in each other. Using new materials, an improved structure, and a carefully balanced design, the weight is distributed to your shoulders and neck. Under a comfortable guarantee of long-time wearing, a single earphone weights only 2.3g, which is as the weight of two A4 sheets, so they won't interfere with your workout. Three band colors are available to choose from and suit your different style, including cloud gray, moon white and dark blue, which are simple and fashinable. The specially designed 10mm bio-fiber composite driving coil is wrapped in a miniature earphone acoustic cavity, which could deliver a strong and powerful sound perfermance through the optimization cavity structure. The bio-cellulose diaphragm and the unique design of the Meizu EP52 Lite enlarge the vibration area of the diaphragm and increase the vibration amplitude. This way, you can hear every single sound transmitted, as well as enjoy heavy bass music during your exercises. In addition to being able to snap the EP52 Lite earbuds together with its magnets, the earbuds are now also equipped with a Hall effect sensor. When you're not using the headset, simply snap the earbuds together to pause your music or end a phone call. If the EP52 earbuds are snapped together for 5 minutes, the device will automatically turn off. Built-in 100mAh high-capacity battery and equipped with low-power micro-power technology, it brings you up to 8 hours of music playback and 200 hours of standby time with a quick charge of only 1.5 hours, allowing you to take your musical enjoyment and appreciation to new levels. 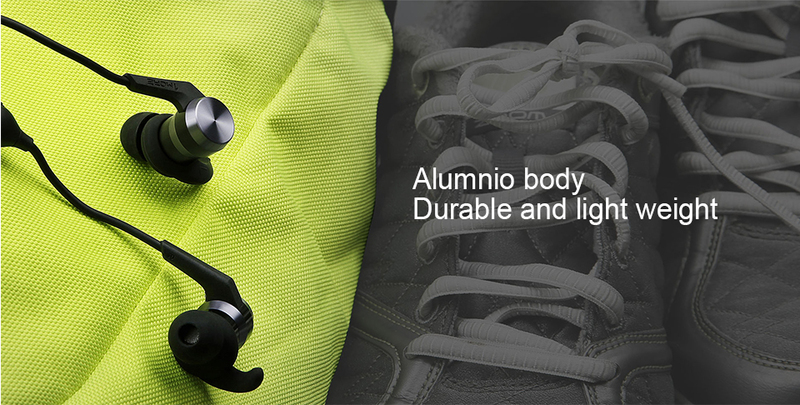 The EP52 Lite adopts an ultrasonic assembly process and features outstanding IPX5 water-resistant ability, effectively protecting sport earphones from water and sweat and ensuring more guarantee life span no matter when you are jogging in the rainy days or working out at the gym. Bluetooth 4.2 new transmission standard with 10 meters effective transmission distance, provides you with excellent connection and incredible sound quality experience. The use of MEMS microphone and software algorithm noise cancellation technology ensures a clear and stable sound quality when making calls. The mechanical keyboards provide greater comfort when it comes to writing because the type of touch the fingers are more rested, in addition to the comfort they offer in the pulse, all without mentioning the wonderful sound so characteristic and make them favorites of the typists. How do you get all this? It is very simple, in the non-mechanical keyboards have a membrane for all the keys while in mechanical keyboard CK88 find an individual pulsation mechanism for each key. The Motospeed ​​CK88 mechanical keyboard has a comfortable design designed to withstand long days of work or play, is something that Motospeed ​​has in mind in each of its keyboards, having a foothold and its ergonomic design makes it reduce the feeling of tiredness in the fingers and wrists. But, undoubtedly, something that has separate mention is the lighting of this keyboard based on RGB LEDs that you can customize with the different lighting modes and that will make you gawk while watching, and do not worry, its intensity is also adjustable so as not to dazzle at night. The Motospeed ​​CK88 has a switch, which is what we call that mechanism, blue, this means that it is a medium touch, it does not lead to being as hard as a black one nor as soft as a red one since the pulsation is activated right midway. It is a good type of switch for both games and for writing, because by the type of pulsation it is very difficult to push a key by mistake, something great for games in which precision is needed above all. As soon as you try the Motospeed ​​CK88 RGB mechanical keyboard you will fall in love with it as we have. You can set different color modes just according your favor. With RGB LED lights built under the keys, you can make your keyboard unique from others. With 50 million times long press life, 60 gram trigger pressure and 2.5mm trigger range, the full mechanical blue switch is the best choice for the players. Designed to relax and rest your arms, the arm support board comes with the keyboard. Your arms will no more feel tired after long time typing or gaming. Adapting premium material, the cable is durable to different temperature. The dual USB port can provide enough current to the keyboard for both typing and lighting. Any key on the keyboard can be programmed to certain functions and colors. With the professional software, you can choose the best settings according to your need. No longer occupied too much memory when the background is running, faster running speed. Installation application are no longer limited, the system is more fluid. Low-power consumption Bluetooth 4.0 makes the box more efficient, allowing you to connect Bluetooth devices such as joysticks, headphones, and speakers more conveniently and stably. The application is smoother, maximum support up to 64GB, accelerating HD faster, playing big game faster, but also earning the massive application. High speed experience can't be stopped. USB3.0 transfer rate of USB2.0 more than ten times. USB3.0 can transfer large capacity files(such as HD movies) at storage rates defined by storage devices, and can optimize the machine to reduce energy consumption. Scishion RX4B supports HDR, when presenting high-definition content, perfermance is more outstanding. Whether it's high speed video or static pictures, can be clear to show. Higher perfermance, experience more entertainment. 64-bit high perfermance processor, not only can decode the traditional video, also supports 3D video transmission and HDR 10 higher quality high-definition images. If you’re a fan of the current notch design trend, then you’ll love the UMIDIGI Z2 Pro smartphone. The display of Z2 Pro covers up to 90% of the front surface, thus creating one of the best-to-screen size ratios. What’s more, the phone boasts a 6.2 inch screen which feels like really ergonomic in hand. The UMIDIGI Z2 Pro is all about design. With this in mind, the flagship is offered in some unique color options including the popular Twilight Gradient and Carbon Fiber variants that give off a very professional feeling. Witness the power of 3rd-generation screen technology as the all new notch display bursts into life on the 6.2 inch FHD+ 19:9 screen, delivering a superior colour gamut for best flagship of UMIDIGI to date. With both Front and Rear 16.0MP + 8.0MP dual camera, you can effortlessly record the details of view and instantly capture the fleeting moments of fun. UMIDIGI Z2 Pro uses a dual-lens module (16.0MP + 8.0MP), an S5K2P7 rear camera sensor, big 1.12μm pixels, and a large optical format 1/2.8'' to help take gorgeous photos in all situations, day or night. 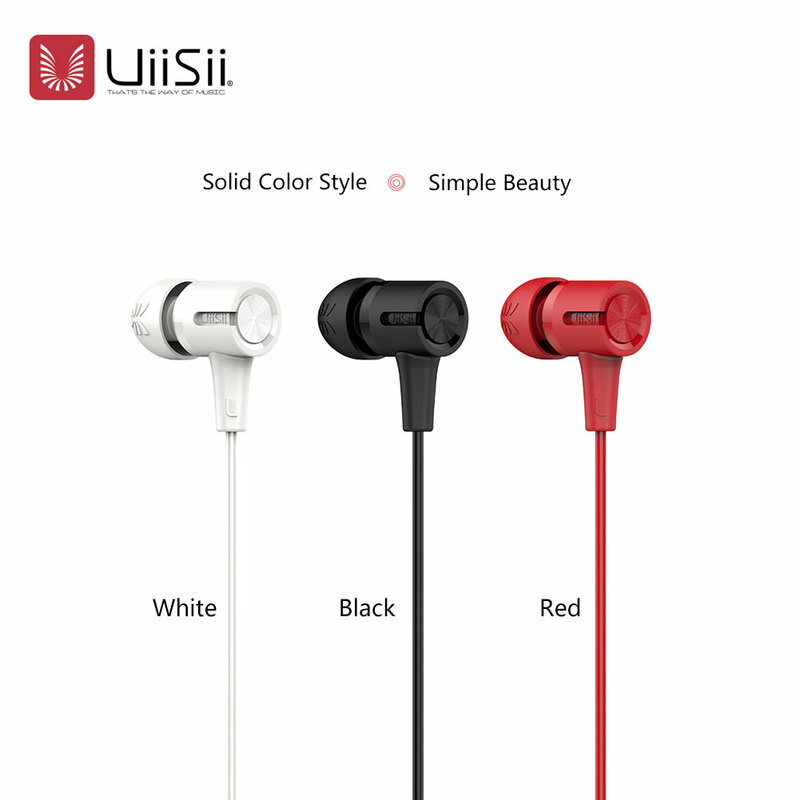 The UIISII U7 earbuds follows the most fashion style, give you the unique look, bring you into the music world. With the best imported material and high elastic diaphragm, you could enjoy high quality stereo bass sound. Also invited the professional tuner to test the earphones, so that get the best advice, and make more good products. Compared to the big brand headphones, UiiSii U7 also delivers a wide range of frequency with crisp highs and powerful lows, you can get the same fulfillment from music. ● Built-in 8mm moving coil unit. High smoothness diaphragm can present cadenced sound and fully restore details. ● Earphone case is smooth and wearable. Black film texture and geometric acoustic chamber complement each other, which highlights different fashionable styles. ● The high-sensitivity microphone enables you to receive sound perfectly and enjoys high-definition calls. One-touch remote control allows you to switch songs/calls freely. ● Lightweight shape makes you comfortable to wear, so that you can listen to music for a long time. 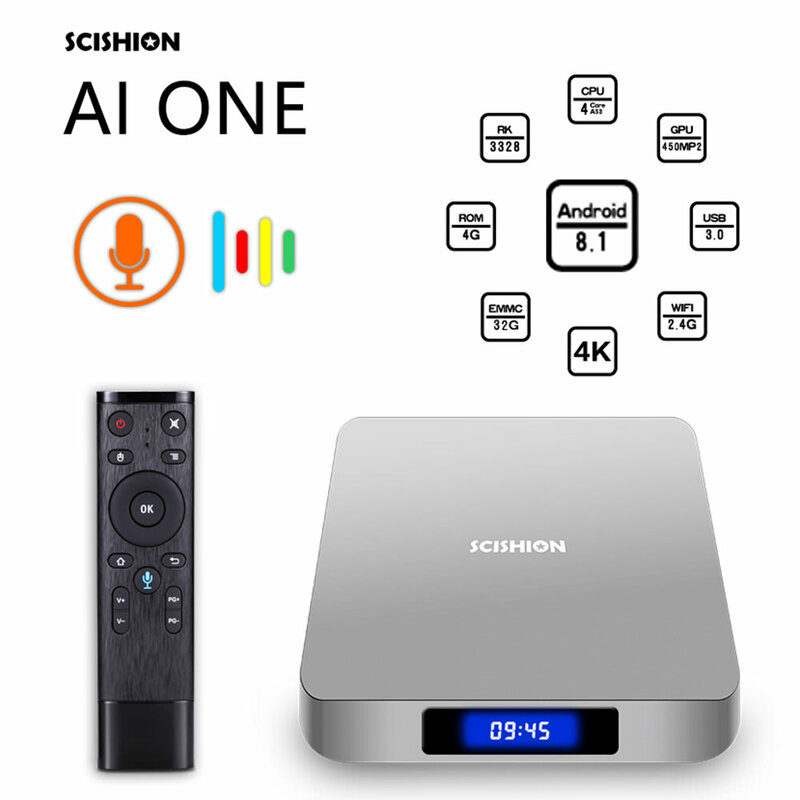 The SCISHION AI ONE TV Box has as brain integrates the RK3328 SoC that has four ARM Cortex-A53 processors and a Mali-450MP2 GPU that includes native decoding of H.265 video and VP9 up to 4K @ 60fps with support for HLG HDR. Runs on the latest Android 8.1 OS for high speed and smooth performance to handle 4K graphics and offers strikingly realistic pictures. Start to experience this latest Android 8.1 4K TV box and you'll love it. Higher performance, experience more entertainment. Not only can decode the tranditional video, also supports 3D video transmission and HDR 10 higher quality HD images. Faster and more smooth running speed, and no longer occupied too much memory when the background is running. Installation applications are no longer limited, the system is more fluid. SCISHION AI ONE supports HDR, the performance is more outstanding when presenting HD contents. No matter high speed videos or static pictures, can be clear to show. 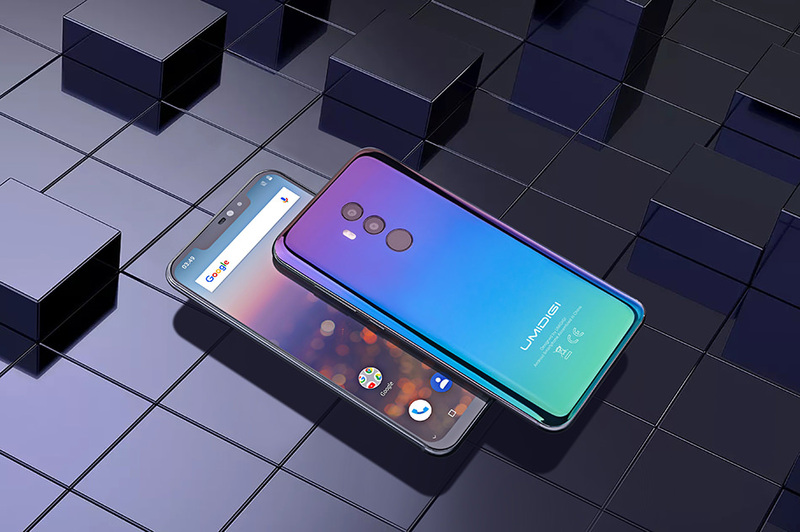 The application is smoother, maximum support up to 32GB, accelerating HD faster, playing big game faster, but also earning the massive application, high speed experience can't be stopped. Simply press the voice control key, speak into the voice remote control, and the tv box will search for what you want, simpler and more convenient to operate, making your life easier. Low power consumption and more efficient, allowing you to connect Bluetooth devices such as joysticks, headphones and speakers more conveniently and stably. USB3.0 transfer rate of USB2.0 more than ten times, USB3.0 can transfer large capacity files(such as HD movies) at storage rates defined by storage devices, and can optimize the machine to reduce energy consumption. Higher perfermance, experience more entertainment. 64-bit high-perfermance processor, not only can decode the traditional video, also supports 3D video transmission and HDR 10 higher quality high-definition images. Low-power consumption LED display shows the time as clear as day. Chuwi GBox Mini PC features Intel Latest Gemini Lake 64 bit 4 cores 4 threads CPU, delivering great performance while using less energy. Intel 9th HD Graphics comes with 12 execution units clock up to 700MHz, which can comprehensively decode 4K videos and play blue ray videos in HD with finest quality image. Dual-band wifi supports 2.4G/5G frequency band, operating on the newer LEEE802.11ac standard. 5G delivers ultimate fast internet speed, while 2.4G goes for more stable connection. Furthermore, RJ45 gigabit ethernet can transfer data at more than a thousand million bits per second. In addition, the Chuwi GBox mini pc also supports dual screen operation, which is a great invention. You can connect two monitors for two different activities. For example, watching movies and playing games at the same time or work or monitor. Unibody stamping micro-level CNC cutting aluminum alloy sandblasting oxidation treatment, stereoscopic visual design, fine lines, all is for creating a strong mechanical texture of GBox. 7.4 * 4.1 * 1.5 inches compact body, only 0.97L, 90% lighter than old PCs. Gemini Lake N4100 processor brings 60% improvement in perfermance compared to the previous Apollo Lake CPU. With 64-bit 4 cores 4 threads and 2.4GHz turbo boost, the perfermance of multitasking and work effeciencyis extraordinary excellent with low power consumption. Intel 9th HD Graphics excels in 4K UHD hard-decoding, allowing you to enjoy ultra-clear real-time video of multipleformats. Online streaming media is handy and supports videos in VP9 and HEVC 10-bit formats. Compact appearance, quiet and low power consumption, expandable memory, super decoding capability, transform into a HTPC anytime. 4GB LPDDR4 high speed RAM enables seamless switch between different tasks for high effeciency. SATA expansion is supported through 2.5 inch hard drive. Dual-band wifi supports 2.4G/5G frequency band, operating on the LEEE802.11ac standard. 5G delivers ultimate fast internet speed, while 2.4G goes for more stable connection. Furthermore, RJ45 gigabit ethernet can tranfer data at more than a thousand million bits per second. The ability to connect with 2 monitors with HDMI2.0 & VGA out greatly improves work efficiency. Featured with faster speed Type-C slot, 2 * USB2.0 can guarantee your everyday life needs and explores more possibilities. Authorized Win 10 system was pre-installed on Chuwi GBox, and it tackles down all kinds of tasks with high efficiency. Linux system is also supported to handle more applications use at ease. GBox supports remote control, 360 degrees air sensing and you can even operate behind walls. Supported air mouse feature delivers accurate and rapid response. Install the GBox on the back of the monitor or TV via VESA international standard interface to make it an all-in-one PC. Coupled with the exclusive remote, just to provide the excellently convenient using experience. The GBox is intended to be energy-efficient straight out of the box. It packs with energy-efficient hardware components that work closely with the operating system to maintain the overall power consumption lower than 10 watts. Thermal conductive aluminum alloy are used on GBox to guarantee continuous effective cooling in all directions. The power-saving GBox stays efficient and stable even after long period of work. Continuous 4-hour in use, it stays 34°C. Xiaomi Mi A2 Lite samrtphone has been very popular on GearVita. In order to continue this craze and give back to the customers who support us, we will give A2 Lite 4GB RAM 32GB ROM version of the ultra-low price discount. Now starting until October 26th, you can get this phone at a very low price of $158, simply by applying the coupon code "IT4GBA2L32" on the GearVita. There are black, blue and gold colors for you to choose from. If you are more interested in other storage versions, you can also get a 10% discount with the "MISALE10" coupon code. By the way, this discount code is universal for all Xiaomi electronics, you can go to buy any of your favorite Xiaomi products. ● Using AI semantic segmentation, the 12.0MP + 5.0MP dual camera, blurs the background and sharpen edges. ● Through its deep learning algorithm, the front-facing camera determines your distinct features to accentuate your natural beauty. ● The high-capacity battery of 4000mAh meets your every need, you can play music for up to 34 hours or call up 19.5 hours on a single charge. ● 19:9 full screen display, experience better visuals with the clarity of 432 pixels per inch and the brilliance of 84% NTSC color. ● The Qualcomm® Snapdragon™ 625 strikes an excellent balance between performance and power consumption. It ensures that gaming stays smooth without burning through your battery, achieves the optimal gaming experience. ● Metal body with a sleek and secure grip, the 2.5D glass display curves smoothly into the metal body so that it feels just right in your hand. ● Dual nano-SIM card + microSD slots, up to 256GB expandable storage, insert two SIM cards at once and expand your storage up to 256GB. ● Android one phone that designed by Google, smart, secure, and simply amazing. With advanced APTX tech, the in-ear design of OVEVO X9 earbuds offer incredible sound quality with deep bass and crystal clear treble, no matter your taste in music. Works great for soundtracks, audio books, relaxing sounds, and even techno music. With ergonomic design and silicone ear hooks, it is secure behind your ears and rest comfortably in the ear canal. Designed with IPX7 physical waterproof structure, OVEVO X9 supports listening to songs under water 5 meters, perfect for training, sauna and steam room as well as all other outdoor and indoor activities. The power of Bluetooth V4.2 technology for seamless syncing to your favorite wireless devices, including for smartphones and tablets, more up to 10 meters 33 feet. Provide more flexible Internet connection options, let you enjoy the music freely. It also supports memory card, you can use it as the MP3 player, whether you bring a mobile phone or not, you can enjoy music. Up to 8 hours of play time and 250 hours stand-by with a quick charge of only 2 hours. With the built-in 200mAh battery, if you work our for 45 minutes every day, then you can enjoy the earphone for one week no need charging. The ring latex is completely enclosed and waterproof, formed with O slit, even under water 5 meters high pressure normal can be used. Bionic design of spindle-shaped fish, easy to be in water, swimming light and firm. Unique noise elimination and echo cancellation algorithm remove every noise, the sound of clean, listening, full immersion in the movement. Special gardness soft silica gel elastic ear hang, free to shape, 0 seam to fit the ear. 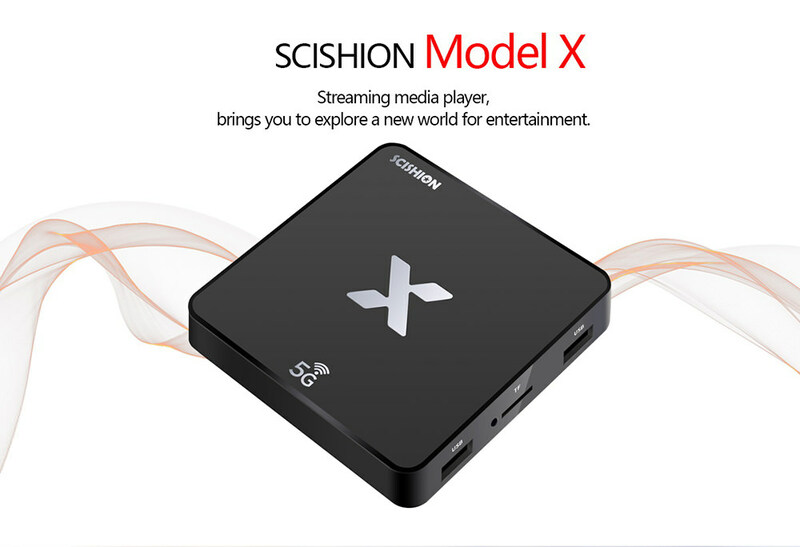 The Scishion Model X TV Box features the latest Android 8.1 OS which provides you with ultra-smooth and fast running experience and access to abundant Apps. You can enjoy 4K video output with the H.265 decoder. It features 2GB RAM and 16GB ROM so that you can store your favorite videos, songs, games, etc. Plus, it features 5G WiFi, you can browse websites and enjoy online TV programs, etc. Less interference and more channels ensure transmitting strong signal in high quality and high speed. No longer occupy too much memory when the background applications are running. With faster running speed, application installation is no longer limited, the system is more fluent. A powerful video decoder is like having a high perfermance processor, you will notice how smooth it is when you watch NBA live or play a racing game. DC 5V power input, Ethernet, HDMI AV output, USB, and TF card slot, all these interfaces allow limitless connectivity to external devices. The Syllable D900P earbuds pack a punch in the tiniest form of true wireless Bluetooth earbuds, making the excellent experience of stereo sound and innovation in the newest trend in Bluetooth headphones. Bluetooth 5.0 technology enables music and tech lovers to connect the Syllable D900P to any smart device. Blast music, chat on the phone, or activate Siri with one touch. Created to be stored in a case which features a tiny small size, you can easily pocket the earbuds in the most convenient ways, it is also with battery storage function. Combined the removable charging function with portable storage function together, the case is just like a diamond full of battery. Stay connected and ahead with the Syllable D900P earbuds. Multi-point pairing for use with two devices at the same time and answer calls from either one. With TWS(True Wireless Stereo) technology, these earbuds can be used together or separately as you need, you can share the same music with friends and enjoy the clear stereo sound by using both earphones. Featuring Bluetooth 5.0, providing a better and clear sound quality. High-fidelity audio perfectly restore the sound scene and rich details, and enables clearer microphone sound. Great noise canceling effect, let you enjoy HiFi music anytime. The truly-wireless earbuds let you listen to your favorite tracks with Bluetooth connection, so you won't be held back by wires. Super mini, wire free and easy to carry, perfect for the gym, running, jogging, hiking and more. 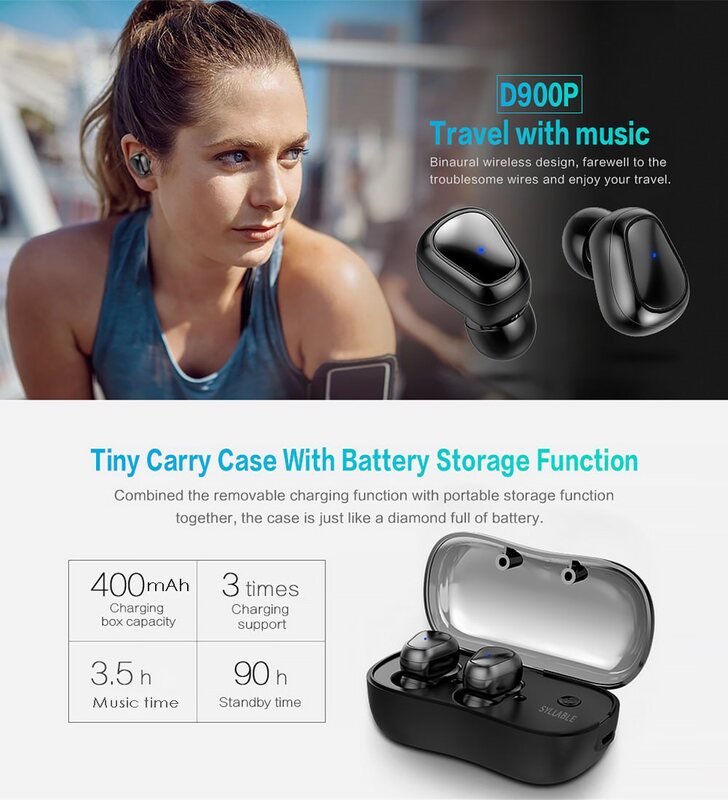 Equipped with portable 400mAh battery charging case, support 3 times fully charging for the wireless earbuds, you can enjoy up to 3.5 hours continuous music time after charged and 90 hours standby time. Red light indicates charging, blue light indicates fully charged, red and blue light flash alternately indicates the earbuds in paring mode. Compatible with most Bluetooth enabled devices, such as iphone, Android phones, pads and other Bluetooth enabled devices. Convenient and safe, one button has the multifunctional function to answer or reject phone calls, Bluetooth pairing, power on/off, play/pause music/video, etc..
With an IPX4 rating thanks to the protection material, splashes and sweat won't stop these headphones - made for movement. The size suits for almost people and stays in your ear securrly. Adopting Bluetooth 5.0 technology, Syllable D15 earbuds allow for seamless and wireless connectivity compatible with a range of Bluetooth-enabled devices such as phones, tablets and more. Ergonomic in-ear with hook design makes it double stable, providing long time comfortable wearing and securely fit to your ears. Delicate and lightweight, your perfect wireless partners, and always accompany you anywhere. Upgraded Bluetooth 5.0 technology let you seamless pair with your favorite wireless devices. Meanwhile, it makes sure stable and long-distance transmission up to 10m. The earphones can work individually or in pair, wear one or both depending your own needs. The dual earphones can interconnect a mobile phone, share music and video with your loved one. Syllable D15 supports mono mode and stereo mode. 10mm dynamic cell with ACC audio decoding delivers natural acoustics, allows you to get incredible sound quality and crystal clear music. You can control power on (press 1s)/off (press 5s), play/pause (press once) of music, answer (one click)/end calls (double click), play next song (double click)/play previous song (three-click) with one key. Made of flexible silicone material, it will automatically bounce back and fit when worn, allowing you to wear more comfortable and not easy to fall off. 70mAh battery capacity can last for 70h life time, accompany you all the time. Compatibility with most Bluetooth-enabled smartphones and tablets, you can enjoy the music on different devices. This Magicsee N4 TV Box is operated by Cortex A53 CPU and Mali-450 GPU, processing data quickly. It runs on Android 7.1 system with updates via OTA. 2GB RAM and 16GB ROM large capacity ensure more smooth and flexible operation. In terms of connectivity, there are two USB 2.0 ports, microSD card reader, an HDMI 2.0a, 10/100 network port, SPDIF connector and analog output for audio and video. You can enjoy the high-definition images and play large games without going outside. The processor is an Amlogic S905X, fully supporting premium 4K UHD contents with a powerful Quad-core 64bit CPU and Penta-core ARM Mali-450 GPU combination in place to handle 4K graphics and offers strikingly realistic pictures. Works steadily and you can enjoy fantastic home media entertainment experience. Magicsee N4 supports 4K resolution, you can enjoy high-definition imaging effect. Convenient to stream your photos, videos to TV or large screen. 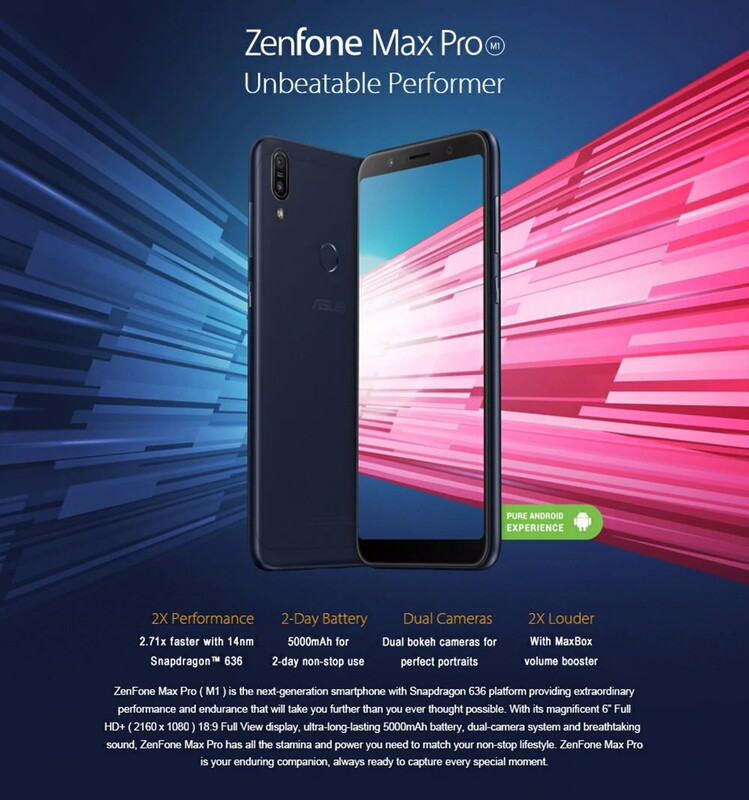 Asus Zenfone Max Pro (M1) is the next-generation smartphone with Snapdragon 636 platform providing extraordinary performance and endurance that will take you further than you ever thought possible. Its magnificent 6'' Full HD+ (2160 x 1080) 18:9 Full View display, along with its 2nd generation NXP smart amplifier and 5-magnet speaker, takes your audiovisual experience to the next level. Equipped with Android Oreo 8.1 operating system, it offers you a seamless and a more secure mobile experience. In addition, its dual-camera system helps you take beautiful photos in almost any lighting condition. Ultra-long-lasting 5000mAh battery can keep you going for up to 2 days. Zenfone Max Pro has all the stamina and power you need to match your non-stop lifestyle, it is your enduring companion, always ready to capture every special moment. At the heart of Zenfone Max Pro is an advanced Qualcomm® Snapdragon™ 636 mobile platform, which combines smooth, responsive performance with superb battery life. This processor is up to 1.54x faster than its predecessor, the Snapdragon 625.3 Whatever you're doing, Zenfone Max Pro can handle it easily, with performance to spare. Dive into the immersive visual experience of Zenfone Max Pro, with the expanded Full View display that lets you see more, and see it better. Zenfone Max Pro makes photos, videos, or any kind of content look better than they've ever looked before. With Zenfone Max Pro everything’s clearer, brighter and bigger! Zenfone Max Pro lets you see more, in less space! Its ultra-compact 6-inch display has an ultraslim bezel, so it fits in a slim body that's the same size as most standard 5.5-inch phones. It's the ultimate ergonomic design that's beautiful, slim and comfortable to hold. Zenfone Max Pro is built to last using solid metal, with a slim and light body that's precision-crafted to give it a luxurious feel without being bulky. For rapid unlocking, there’s a fingerprint sensor cleverly located at the back for easy access, just one of the many thoughtful details that make Zenfone Max Pro anything but ordinary. Zenfone Max Pro has an advanced dual-camera system that will take your mobile photography to new heights. The rear camera focuses on the subject in less than the blink of an eye, and has a high-resolution sensor with a high-quality wide-aperture lens that captures clearer photos, every time. Zenfone Max Pro shoots video at up to 4K UHD resolution — four times the quality of Full HD! There's nothing complicated for you to do: just point, shoot and share your memories, all captured with incredible levels of detail. To help you take the most indulgent selfies, Zenfone Max Pro smartphone has a live beautification feature that instantly retouches your shots to remove blemishes, balance facial features, enhance skin tone and more. Zenfone Max Pro really lets your beauty shine! Zenfone Max Pro's speaker has a five-magnet construction with a metal voice coil, driven by a powerful NXP smart amplifier that delivers powerful, emotional sounds in every scenario — and at supreme quality levels. When you're ready to kick back with a movie or your favorite sounds, the cleverly designed MaxBox6 turns Zenfone Max Pro into an audio powerhouse by reinforcing and redirecting the sound from the speakers, with no need for batteries or cables. Just pop Zenfone Max Pro into MaxBox6, and you can party all night long! Zenfone Max Pro has two SIM card slots that support 4G LTE speeds up to 400Mbps7, and a microSD slot that lets you instantly expand your storage up to 2TB. Its handy triple-slot tray lets you install two SIMs and a microSD card in one easy step. Messy or busy fingers? No problem! Zenfone Max Pro has a facial-recognition system — face unlock — that recognizes your unique features and rapidly unlocks your phone. There's also a rear fingerprint sensor that's perfectly positioned for the way you hold your phone. It unlocks Zenfone Max Pro in just 0.3 seconds — even if your fingers are damp! Somic G618 Pro earbuds adopts Bluetooth 4.1 technology, noise reduce CSR chip, CSR suppoerted APT-X, make the sound quality more clear and no audio delay. The best surround stereo 3D sound and superb bass, provide you an unusual experience. Double microphone design - detachable microphone and remote microphone, not a fraid lose voice, supply more clear sound for communicated with your friends during you playing games. ● Dual microphones design, a mode of the in-line microphone and another mode of the detachable mic, 360° sound pick-up ability, perfect for mobile game and daily communicating. ● Support Bluetooth 4.1 transmission, no loss and signal stable, up to 10m transmission range. ● Wire-free, suits for live, sports and gaming using. ● High quality sound component, providing perfect integration of strong bass and pure treble. ● With 120mAh battery capacity, charing time is about 2 hours, the palying time up to 8 hours, which can meet your daily use.